Nectars and fruit juices, produced from locally grown fruits are now available to local consumers at grocery stores across the islands. Summer Ltd is a new business that has been producing and distributing on the island since October of this year. They buy quality seasonal fruits from across Grenada which are pulped and blended at the company’s facility located at the Seamoon Industrial Park in St Andrew. Currently, Summer Ltd has a production capacity of 1,500 bottles of juice per hour, with plans to upgrade the facilities to allow for 3,000 bottles. Summer Ltd provides employment for ten Grenadians and buys thousands of pounds of fruit from local farmers. Since starting production in October, Summer has purchased over 100,000 lbs of fruit produce, providing major economic support for farmers whose produce are purchased at competitive prices. “Our facility follows the highest health, cleanliness and safety standards, and our products are tested for quality and flavour,” says Jim Jardine, Owner and General Manager of Summer Ltd.
Summer produces Golden Apple, Guava, Mango, Passion Fruit, Sorrell, Soursop and Tamarind nectars with mixed flavours. 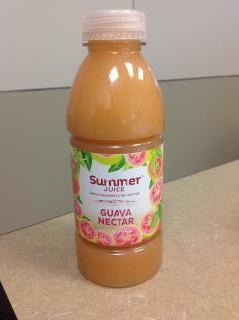 Summer plans to add other juices and products to their product lines as seasonal fruit sources become available. They will also produce custom blends on order. Summer’s purchasing practices are also aimed at helping to discourage praedial larceny and they do not purchase at their Seamoon facility, but instead visit growers and purchase directly from the field. This ensures that they are buying from the rightful owners and the fruits they use are of the freshest quality. Summer was officially launched on Tuesday, 9 November at the Seamoon factory with a ribbon cutting ceremony and tour of the facility.